Looking for the Commencement 2019 Website? Click here! 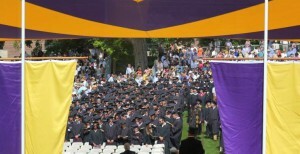 Several celebratory events are held for the Senior Class during the academic year, as well as during the days just prior to Commencement (commonly known as “Senior Week”). The planning for these programs is a joint effort of the Senior Class Officers and staff from the Office of Student Life and College Relations, with a lot of logistical support from many campus offices, including Campus Safety, Dining Services, Facilities, and others. The RSVP period for Senior Week will take place starting in April. Events are FREE to all eligible Seniors. Only those who register on time will be permitted to attend senior week events. With the exception of Mt. Hope events & the Friday morning brunch, seniors are welcome to bring a guest until venue capacity limits are reached. You will need to accompany your guest in order for the guest to enter the event.